Home » Website Building » Weebly » How to Add Image Gallery in Weebly Site? How to Add Image Gallery in Weebly Site? Weebly gallery element is available under “Build” tab and classified under “Basic” group of elements. Drag and drop the element and upload the images to create a gallery. We recommend to have similar size for all images so that it will look professional. There are two customization options available for gallery element – first is at individual image level and the second is at gallery element level. Click on the individual image to add caption and link. Then click on the gallery (just outside the images) to see the popup box like below. 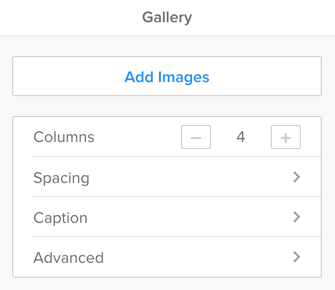 Adjust the number of columns for your gallery. Adjust top and bottom margin spacing. The caption option allows you to set how the image should look on when clicked on. You can simply choose the lightbox option or choose to display thumbnails also. You can also switch on “Display Caption on Hover” option to show the caption when moving the mouse over the images. The advanced options allow you to set image spacing, border and image ratio. Individual image can be removed or added to the gallery at any point of time after publishing the site. The above method will create a gallery with plain white background. You can use “Section” element to create a full width element and add gallery inside. In this way you can add an image, color or even a video background (if you are a pro user) to your gallery images. Instead of using gallery element, you can also use image element to create a gallery effect as shown in the below picture. The gallery with a parallax scrolling effect on a background image will give wonderful look to your site. The last option is to create a custom gallery widget. We recommend this only if you want to use one or two gallery on your site. 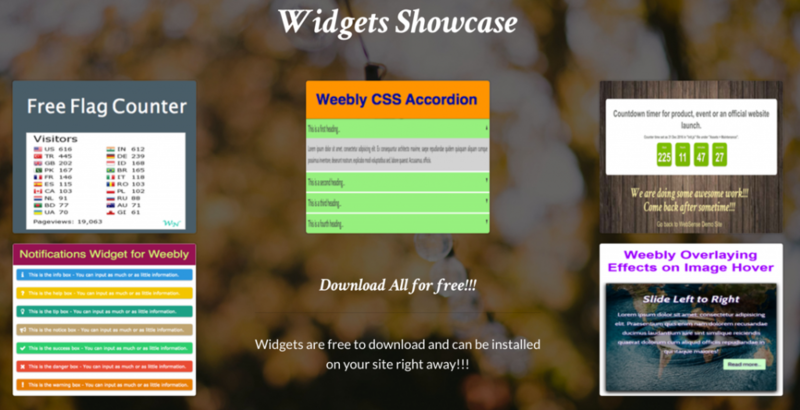 Below is the sample custom gallery widget for Weebly site with sliding title and description. The complete CSS and HTML code is given below which you can embed using “Embed Code” element. As a good practice, paste the CSS (between style tags) under “Header Code” section of the page and embed HTML code using “Embed Code” element. This widget uses 3 columns and resize the images to 200px by 200px. You can change the wrapper and image sizes to adjust the columns and fit the images inside. Ensure to have 50% of the image height for the hover effect – we used 100px as the image height is 200px. 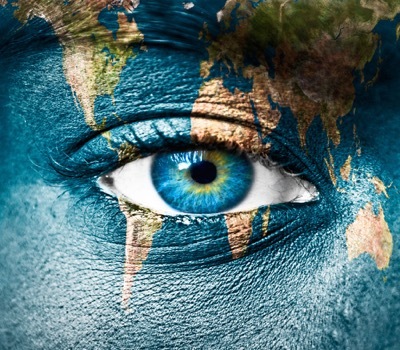 Individual image can be linked to any webpage, we have used # for all “href” attributes, change # to required target URL. Learn more on creating portfolio page using gallery element. Also if you are looking for image filtering widget then check out the article on 3 columns image filtering widget for Weebly. 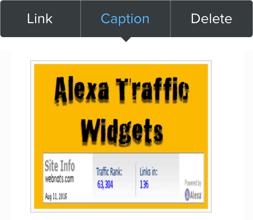 I have a question regarding the captions in the default gallery element in weebly. When I use the captions option (display on hover + lightbox full thumbnails), the caption also appears as code (black text on yellow background) on hovering over the image. It seems weebly “names” the image as per the caption and then displays that when you hover over it – doubling the information and looking quite silly. I am aware that weebly has not solved this issue. Have you? I noticed that none of the 3 examples above have this problem (although I am assuming no1 has no captions and no2 is a print screen..) but no3? The third example shown is a custom gallery not related to Weebly. You should use Embed Code element to add the custom code by replacing the image links, titles and descriptions.